Joomla! is an award-winning content management system (CMS), which enables you to build Web sites and powerful online applications. Many aspects, including its ease-of-use and extensibility, have made Joomla! the most popular Web site software available. Best of all, Joomla! is an open source solution that is freely available to everyone, this also means that you can modify the source code according to your needs and gain maximum advantage. 1 What's a content management system (CMS)? 2 What are some real world examples of what Joomla! can do? 4 I need to build a site for a client. How will Joomla! help me? 5 How can I be sure there will be Joomla! support in the future? 6 I'm a developer. What are some advanced ways I can use Joomla? 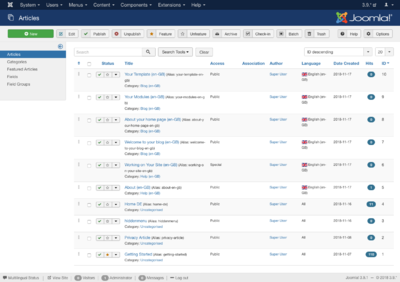 7 Joomla! seems the right solution for me. How do I get started? A content management system is software that keeps track of every piece of content on your Web site, much like your local public library keeps track of books and stores them. Content can be simple text, photos, music, video, documents, or just about anything you can think of. A major advantage of using a CMS is that it requires almost no technical skill or knowledge to manage. The CMS manages all your content, so you don't have to. CMS also helps you track your content easily and help you develop and manage your content in the best possible way. Joomla! is designed to be easy to install and set up even if you're not an advanced user. Many Web hosting services offer a single-click install or auto installers, getting your new site up and running in just a few minutes. If your clients need specialized functionality, Joomla! is highly extensible and thousands of extensions (most for free under the GPL license) are available in the Joomla! Extensions Directory. Joomla! is the most popular open source CMS currently available as evidenced by a vibrant and growing community of friendly users and talented developers. Joomla's roots go back to 2000 and, with over 200,000 community users and contributors, the future looks bright for the award-winning Joomla! Project. Many companies and organizations have requirements that go beyond what is available in the basic Joomla! package. In those cases, Joomla's powerful application framework makes it easy for developers to create sophisticated add-ons that extend the power of Joomla! into virtually unlimited directions. Since Joomla! is based on PHP and MySQL, you're building powerful applications on an open platform anyone can use, share, and support. To find out more information on leveraging the Joomla! 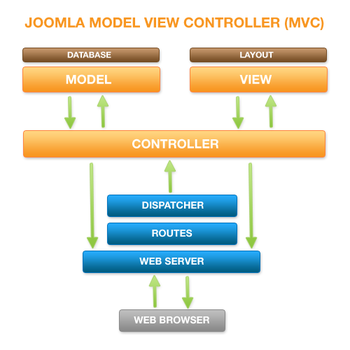 framework, visit the Joomla! Developer Network. Joomla! is free, open, and available to anyone under the GPL license. Read Getting Started with Joomla! to find out the basics then launch a free website at launch.joomla.org and you'll quickly discover how simple Joomla! is. If you're ready to install Joomla, download the latest version here. You'll be up and running in no time by following the Installing Joomla! instructions. Producing world class Open Source software takes a lot of active support from community members and partnering businesses. Volunteer Activity for Joomla! project. This page was last modified on 6 November 2018, at 01:53.